Tim Burton used to work for Disney (and was kicked out after his Frankenweenie live action short) and this movie was considered so “dark and scary” for children that Disney were really afraid of putting their name on it and decided to hide it under the Touchstone name. It was also giving an extremely low budget so when people say it was a “commercial” success; it is like giving a child a pound coin and calling them a millionaire. And as The Nightmare Before Christmas has spurned such a following from alternative cultures as many Tim Burton things do, it is hard to believe that you can walk up to many on the street and they still don’t know what you are talking about. 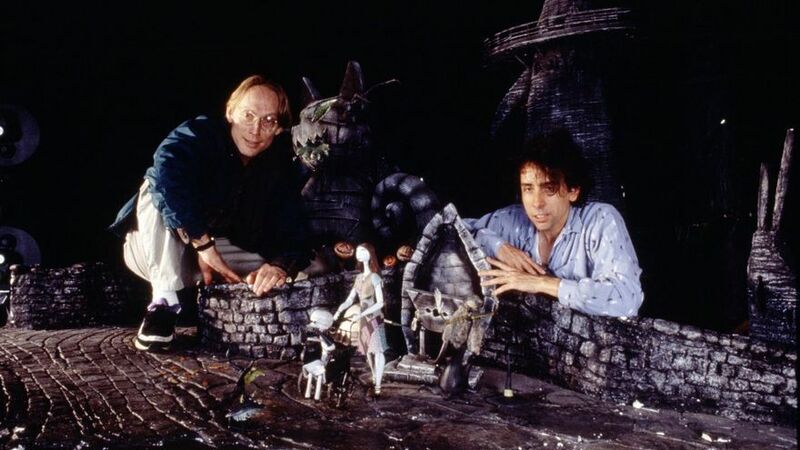 Directed by Henry Selick, The Nightmare Before Christmas is set in the holiday towns of old. In Halloween Town, Jack Skellington, the Pumpkin King, is a famed favourite. However, he has grown so tired of the same old thing. Feeling deflated with Halloween, he goes in search of something to fill the emptiness he has been feeling. When he stumbles upon Christmas town, he finds a world full of bright colours, excitement and love that he has always hoped for. Yet the only way to truly achieve this magical merriment is to host Christmas himself along with all the oddities of Halloween town…. The Nightmare Before Christmas is a triumph of stop animation. Having previous felt jerky and wrong in other movies, stop animation has always been a quirky way to make a film. However, painstakingly animators went on to create this wonderful and slick movie where the stop animation actual adds to the story, making Halloween town more creepy and dark. The film took a crew of 120 with 20 sound stages and 109, 440 frames were put together to create the movie. That is a whooping feat that took years, 220 puppets and 400 Jack Skellington heads to create this movie. And still, if you watch the movie nowadays, you will not find it dated but you will become awash with the imagination and the hard work that was put into the movie. And lest we not forget the wonderful songs from Danny Elfman. The soundtrack really pushed Nightmare Before Christmas beyond that of a regular movie and has been covered countless amount of times by Alternative Artists such as Marilyn Manson and Fall Out Boy. The music from the gleeful “What’s This?” to the creepy “This Is Halloween” and the heart-breaking “Sally’s Song” are pieces of music that give such emotion and adds to the movie with great effect. I’m going to add my own personal feelings about this movie; The Nightmare Before Christmas is one of my favourite films of all time. It is by far the greatest Christmas movie because as a stranger who never had a Christmas, Jack Skellington highlights all that is great about the season (some we may have forgotten about) and Jack, as a character, I feel most for. He is a man who became complacent at the top of his game, tries something new and fails but uses that mistake to do greater things back where he belongs. As a monster, he is the most human lead character I have ever seen. And so many relate to him, his creator and his movie that it is great to see him with this cult following along side his love Sally, the voice of reason who longs to be free. They are characters that speak volumes, stick long after your first watch and never get old after you hundredth. The Nightmare Before Christmas will be with us for years. The Nightmare Before Christmas returns to cinemas tonight!